From 31st October – 3rd November, water professionals from all around the world are joining at one of the most massive meetups that will take place at Aquatech Amsterdam 2017. As a company specialised in SMART water supply networks, we would like to invite you to our stand to introduce WatEner, an integrated web platform designed to address water-energy nexus challenges and improve the daily operation and management of water networks, achieving energy savings of between 5 and 7%. 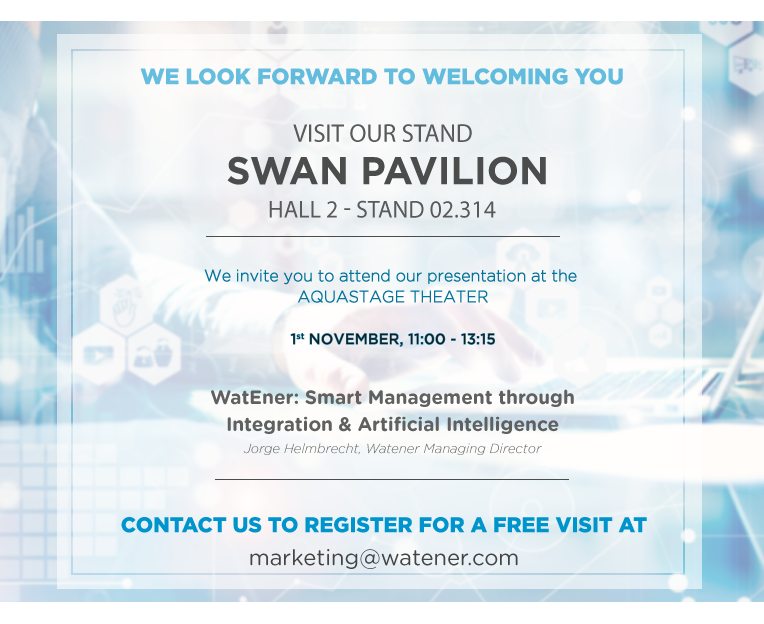 Please visit our WatEner booth 02.314 – Smart Water Pavilion (SWAN), we look forward to welcoming you.